Nougat Beta update for the Honor 5C will be based on EMUI 5.0 which comes with an app drawer, stock Android style recent apps cards, dual apps (apps twins) and several other UI changes. 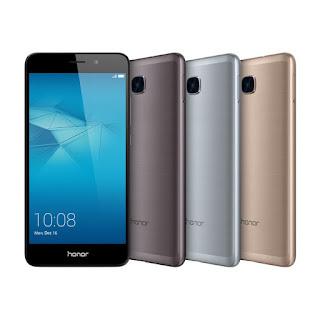 Honor 5C feature a 5.2-inch Full HD Display powered by a 2GHz Octa-core 16nm Kirin 650 processor with a Mali T830 MP2 GPU. Honor 5C comes with a 2GB RAM, 16GB internal storage. On camera, it includes a 13MP rear camera with LED Flash and an 8MP front camera. Dual SIM smartphone is running on Android 6.0 Marshmallow with EMUI 4.1 on top. Honor 5C comes with Metal body and sports fingerprint scanner on Rear packed by a 3000mAh Battery.